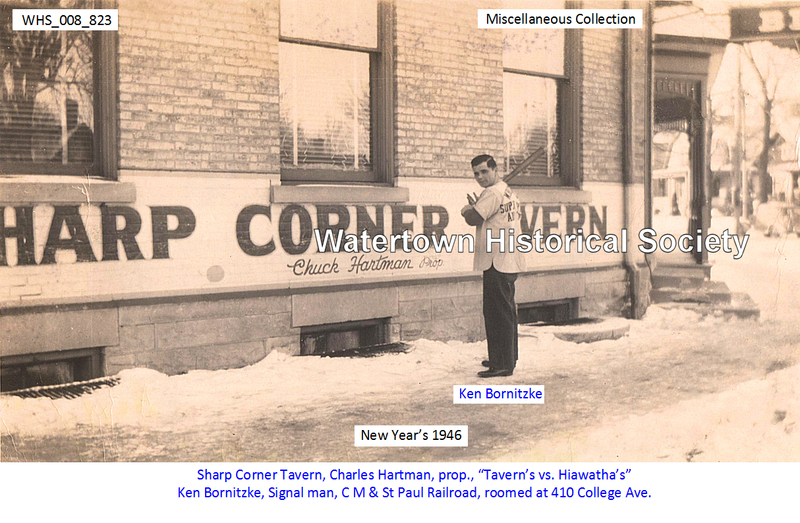 Ken Bornitzke, signal man, C M & St Paul Railroad, roomed at 410 College Ave.
Foster Pagel, operator of the Sharp Corner Tavern and before that manager of the Bowl-'A-Fun, today assumed the operation of the famed dining spot Otto’s Inn, including the tavern, the dining room and kitchen. Mr. Pagel will continue to operate the Sharp Corner Tavern also until the first of the year. Sharp Corner Inn was owned by R.J. & Bernetta Coughlin from July 1, 1963 until 1975.